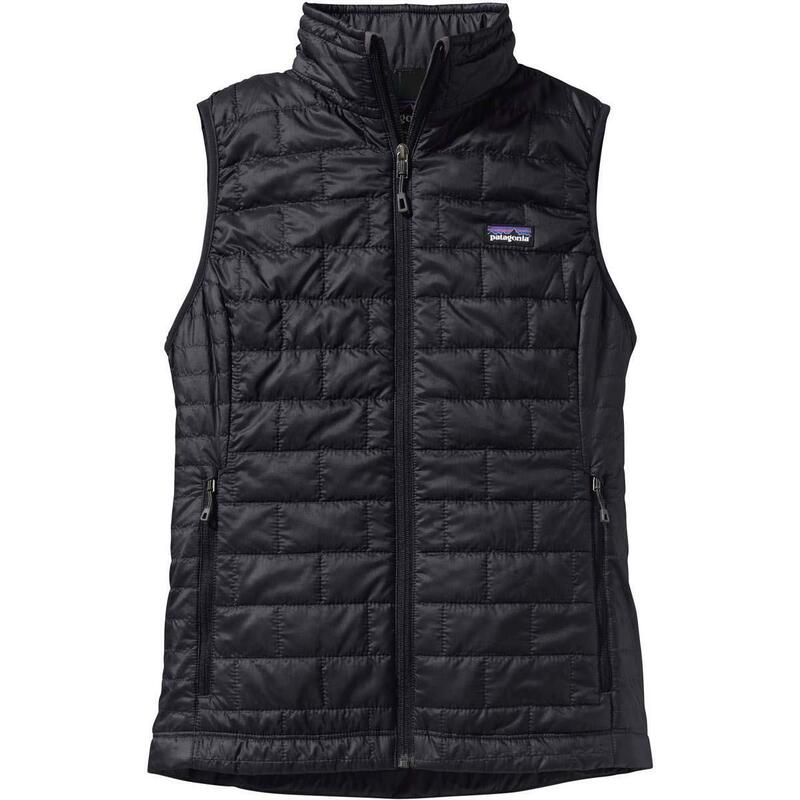 The Patagonia Women's Nano Puff Vest was made to give optimal comfort and maneuverability while keeping the wearer warm. The interior of the vest uses the thermally efficient PrimaLoft Gold Insulation Eco material. This material allows the vest to maintain 98% of its warmth, even if it gets wet. The quilted pattern helps that insulation be as efficient as it can. The outer shell works just as hard as the inner one. The recycled polyester exterior shell resists moisture and wind, helping you stay as warm as you can. With a slightly fitted style, you avoid feeling like a shapeless marshmallow that comes with some puffy jackets. And you won't compromise on warmth when you choose a vest over a full jacket. The Patagonia Nano Puff Vest comes in a variety of different colors, giving you the choice to find the look that best fits your personal taste and style. You'll look as great as you feel! Cons: Wish I got one sooner! This is one of my favorite pieces. It is definitely worth the buy, and you are guaranteed to fall in love with it when you do. Not only is it super light weight and easy to pack, it keeps you very warm! Because it is so lightweight it is easy to forget it is even on. This works great as a layering piece on the slopes or a lifestyle piece that can be worn with a sweater. Love this piece. Perfect over a sweater or as a layering piece under a jacket for extra warmth. Fits well, not bulky. 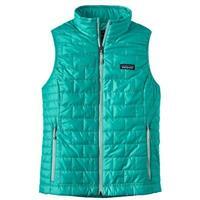 The Patagonia Nano Puff Vest is one of my ultimate “go to” items- the versatility and functionality cannot be beat! Not only is it my favorite layering piece for those colder days on the slopes, but it is also a great lifestyle piece to wear on its own during the fall/spring. 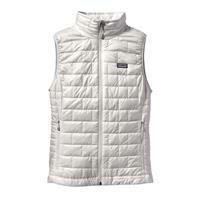 The vest has a tailored fit which is vey flattering and runs true to size. Great lightweight layer to wear on cold days under your coat. 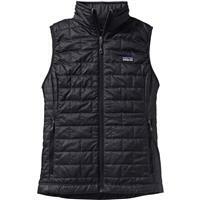 Great vest - lightweight and warm. You can wear it all four seasons. Great staple for your wardrobe. Great piece to layer or wear casually. Very lightweight but warm! This vest looks great on. I love the warm pockets as well as how warm it is even with how light the vest is. I love the color as well. It is easy to move in as well. Longer vest, fitted at the shoulder. Very warm without being bulky. I love my vest so much I own 3!!! This is light weight and packable for any ski trip, camping trip or hiking excursion. Its also fitted and stylish enough to wear around the city or - depending on the office dress code - to work! Warm when layered and just enough coverage when worn alone - this is a must have! This item is very lightweight but super warm! I regret not getting this vest sooner because I wear it all the time. You can wear with a sweater or layer it under your coat for extra warmth. Love this vest. Wear it all the time. favorite!! very light and thin. i wear it over a sweater or shirt or under my coats for extra warmth. Very thin and lightweight vest, great to wear over a sweater or under a jacket! This is my favorite vest! Love to wear this under a shell - it's thin but provides the nice amount of warmth. Personally, I prefer this over the Down Sweater Vest since it's a little thinner and easier to move in.